VIRI PROBATI, MARRIED PRIESTS – The discussion about viri probati [men of proven faith and virtue] is surfacing again, this time in England. As we know, there have been many progressivists advocating the admission of married laymen of an advanced age into the priesthood. The alleged reason is that they would help to assuage the dramatic insufficiency of priests caused by the gap of vocations to the priesthood. So, in an attempt to resolve this and other problems caused by Vatican II – closing of churches, merging of parishes – the solution would be to open the door of the priesthood to married old men. So, we would have married men who de facto would not live the matrimonial life, a sort of provisory chastity or continence inside marriage. This norm of chastity, however, would not be obligatory, but voluntary. Thus, the problem returns: It would be a breach in the rule of celibacy, but preferably those new priests would not have a matrimonial life. Another “exception” to the rule of priestly celibacy came from the acceptance by Benedict XVI of converted Anglican “priests,” who were re-ordained and became Catholic priests. They were/are married and brought wives and children to their new rectories. These ex-Anglican priests created a paradoxical situation for the Church. They are married priests in good standing with Rome. 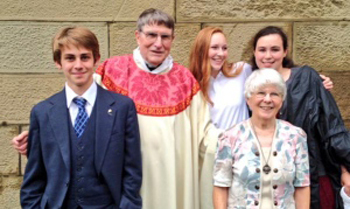 However, in the last 50 years a Catholic priest who wanted to marry has been required to leave the priesthood. 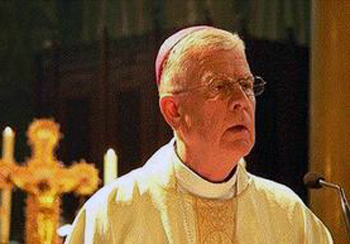 Since the number of ex-priests who have married after Vatican II is considerable – about 90,000 of the 413,418 priests in 2015, according to a credible source – the argument is now being advanced that, since the Church received ex-Anglican priests with their wives, she should also open her door also to this large group so that they can return to their ministry and help resolve the priest shortage. To reintroduce into priesthood ex-priests who left it to marry. For the adoption of both “solutions” the precedent of accepting married ex-Anglicans as Catholic priests is of importance. Hollis knows that Pope Francis is standing behind a similar solution (here and here). 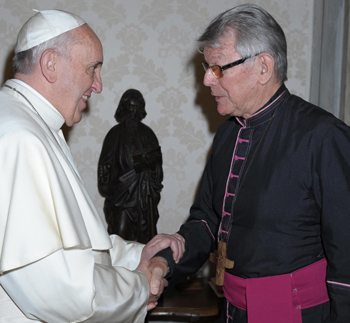 Indeed, when the Encyclical Laudato Si’ was being prepared, Francis received at the Vatican Bishop Erwin Kräutler of Xingu in the Brazilian rainforest. “I told him [the Pope] that as Bishop of Brazil’s largest diocese with 800 church communities and 700,000 faithful I only had 27 priests, which means that our communities can only celebrate the Eucharist twice or three times a year at the most. The Pope explained that he could not take everything in hand personally from Rome. We local Bishops, who are best acquainted with the needs of our faithful, should be courageous and make concrete suggestions,” he said. A Bishop should not act alone, the Pope told Kräutler. Francis indicated that “regional and national Bishops’ Conferences should seek and find consensus on reform, and then we should bring up our suggestions for reform in Rome,” Kräutler said. Asked whether he had raised the question of ordaining married men at the audience, Bishop Kräutler replied: “The ordination of viri probati, that is, of proven married men who could be ordained to the priesthood, came up when we were discussing the plight of our communities. The Pope himself told me about a Diocese in Mexico in which each community had a deacon, but many had no priest. There were 300 deacons there who naturally could not celebrate the Eucharist. The question was how things could continue in such a situation. It is not difficult to see that the wall of priestly celibacy is on the brink of collapsing. The right Pope and Secretary of State are in right place to do it; the precedents – ex-Anglican married priests – were duly arranged by Benedict XVI; the viri probati are ready and waiting to enter the scene using the pretext of the priest shortage of Amazonia in Brazil. What follows next will be a blitz of married priests being re-introduced into their abandoned ministries. It will be another multi-century wall in the Catholic Church – priestly celibacy – that will be destroyed by Progressivism as it proceeds on the path toward the complete demolition of the Mystical Body of Christ.